A classic in a limited-edition finish. 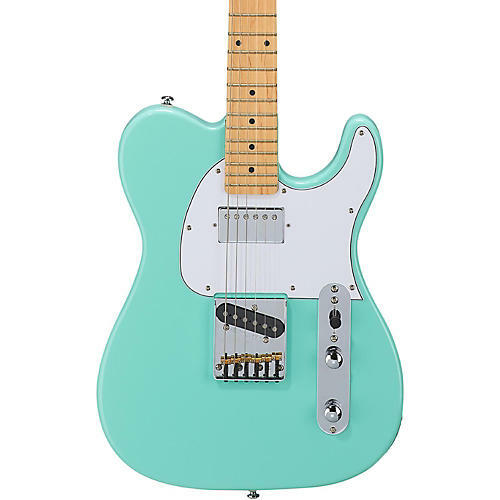 The G&L ASAT Classic Bluesboy is a factory-modded version of the traditional single-cutaway bolt-on axe. For players looking for the unmistakable warmth of a classic humbucker in the neck position, the Bluesboy delivers with a well-balanced pairing of a G&L alnico humbucker and a single-coil G&L bridge pickup. Framed in a classic boxed-steel bridge, the single-coil alnico bridge pickup delivers crisp attack with complex harmonics while individual brass saddles offer modern levels of intonation refinement. Flip to the neck ‘bucker and you’ll discover all the charismatic warmth you could ask for. Put them together and you’ll enjoy a whole new level of pleasure. The Tribute Series ASAT Classic Bluesboy is dripping with mojo at a price attainable for every working musician. This model comes in a special limited-edition finish with a 3-ply white pickguard and maple fretboard. Once you play a G&L Tribute Series, you’ll never look back. Case sold separately. If you like the color, you already love the style. Order today.